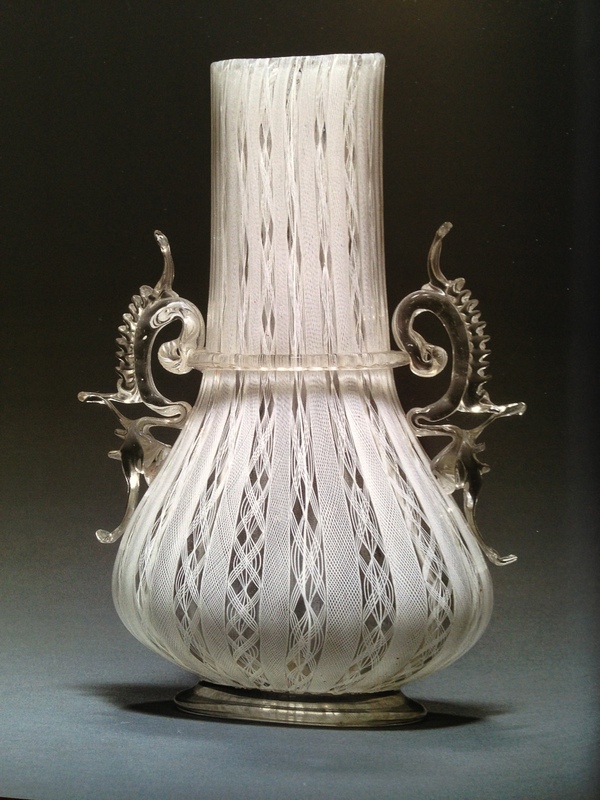 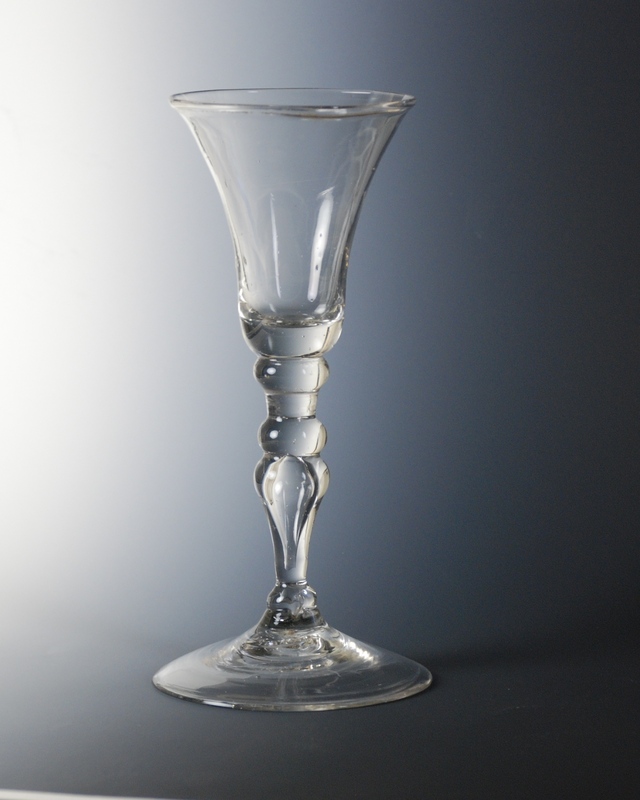 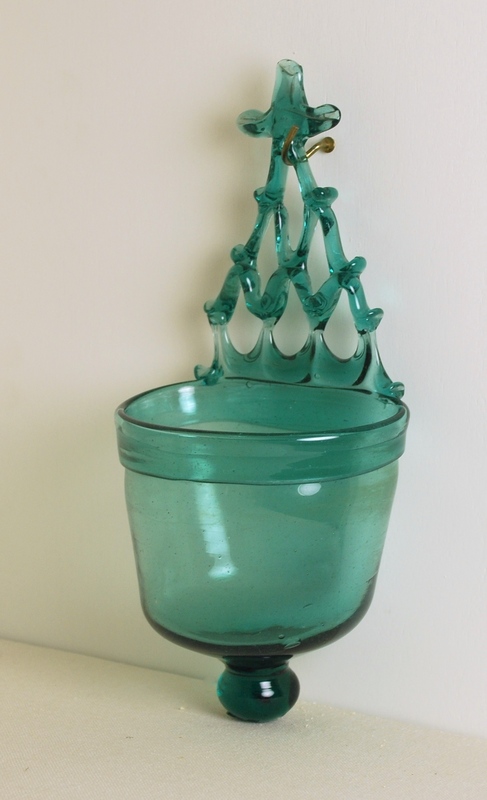 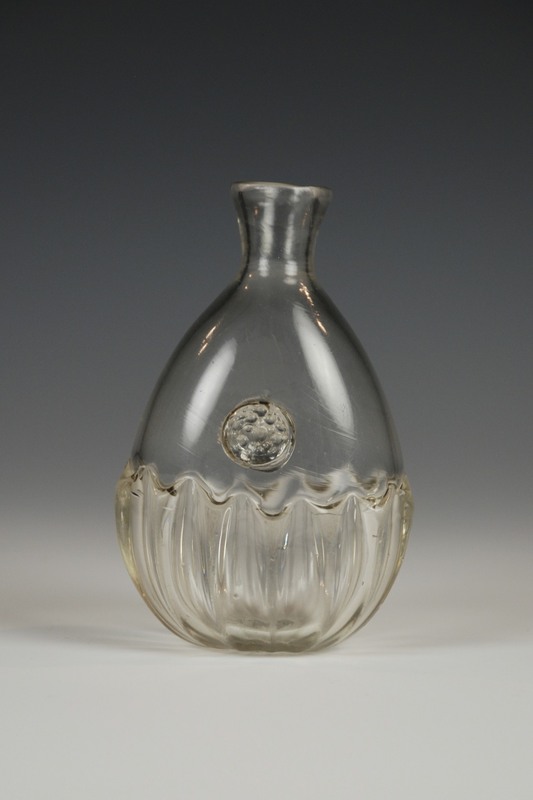 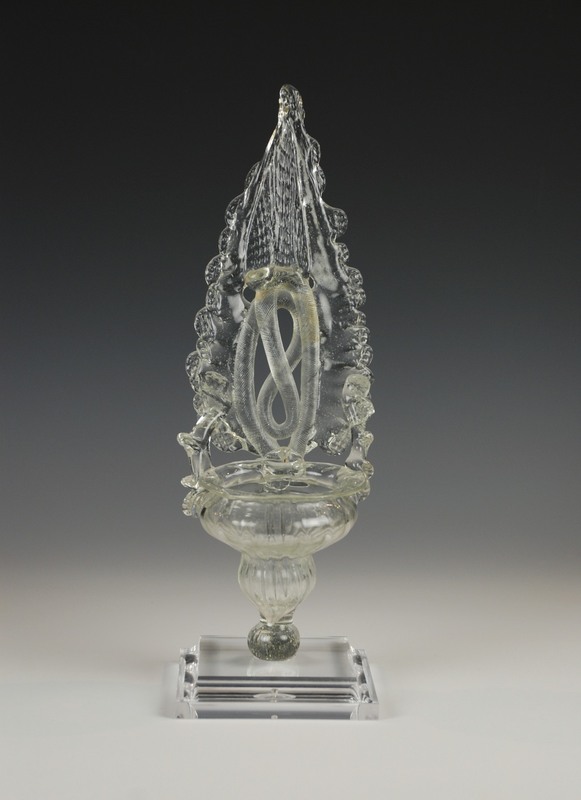 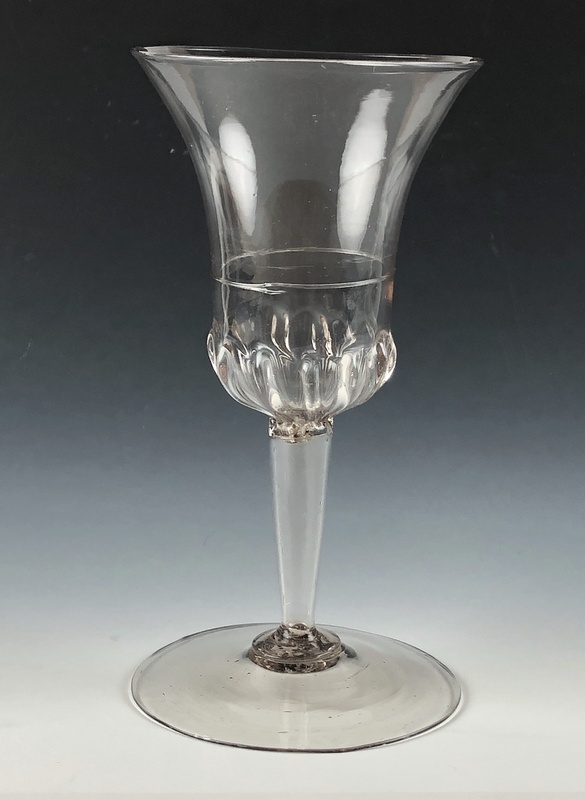 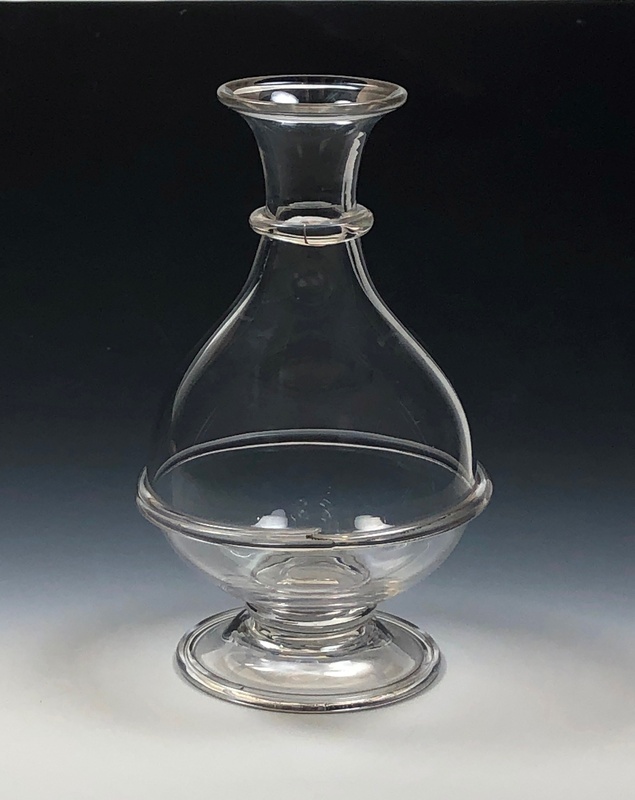 This is a beautifully shaped baluster wine from the Netherlands made of soda glass. 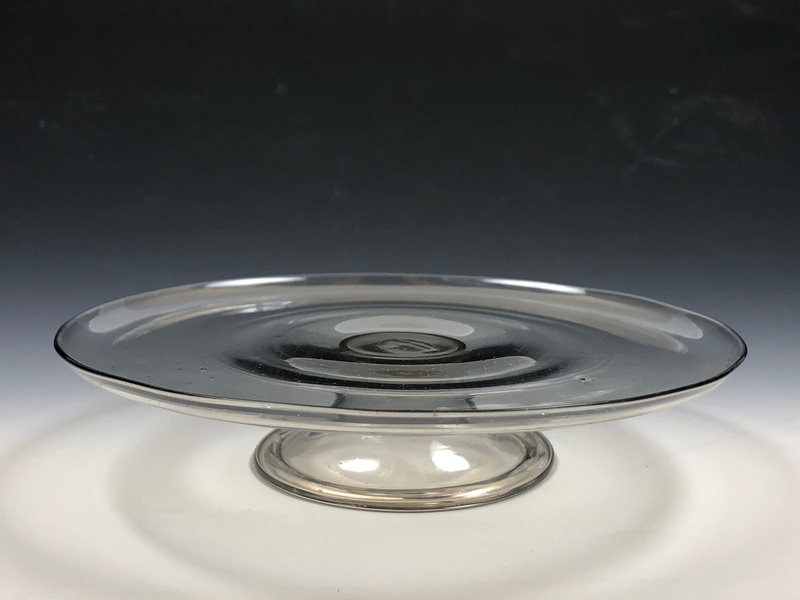 It has a bell bowl with stem of two solid knops and a knop with tear on a solid base. 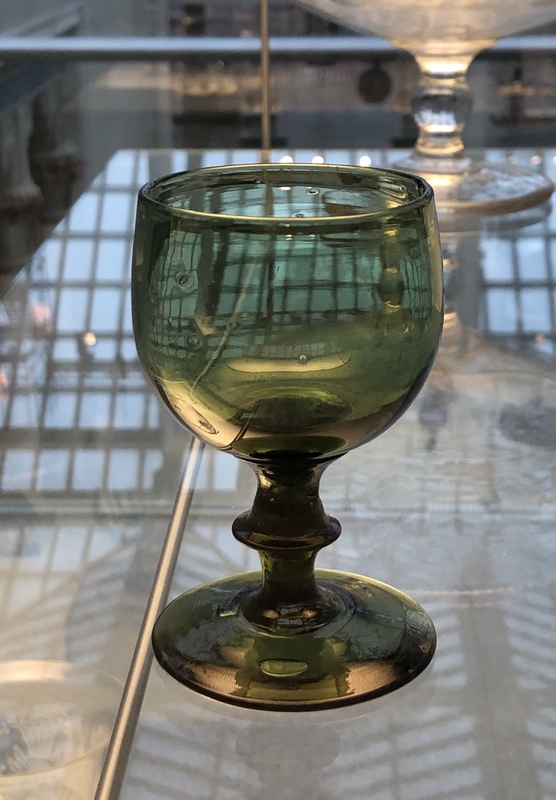 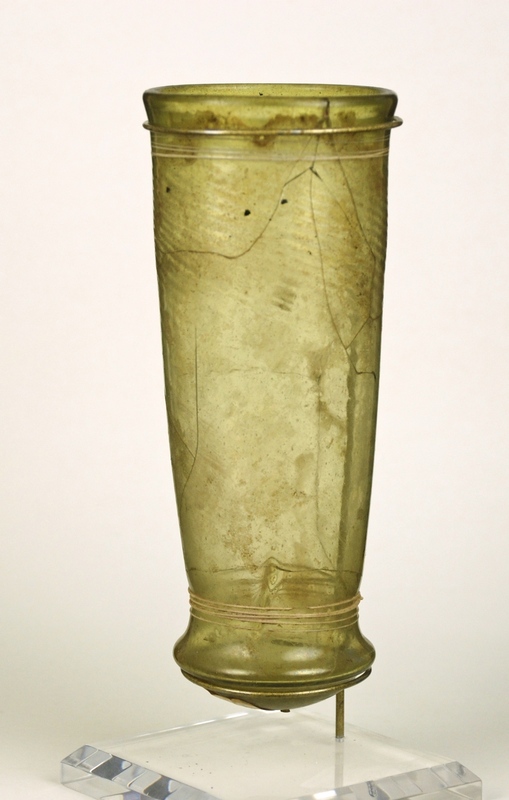 Remarks: This Frankish or Merovingian bell beaker has a wrythen-molded body in yellow glass with a fine opaque white trailing wrapped around the top and bottom. 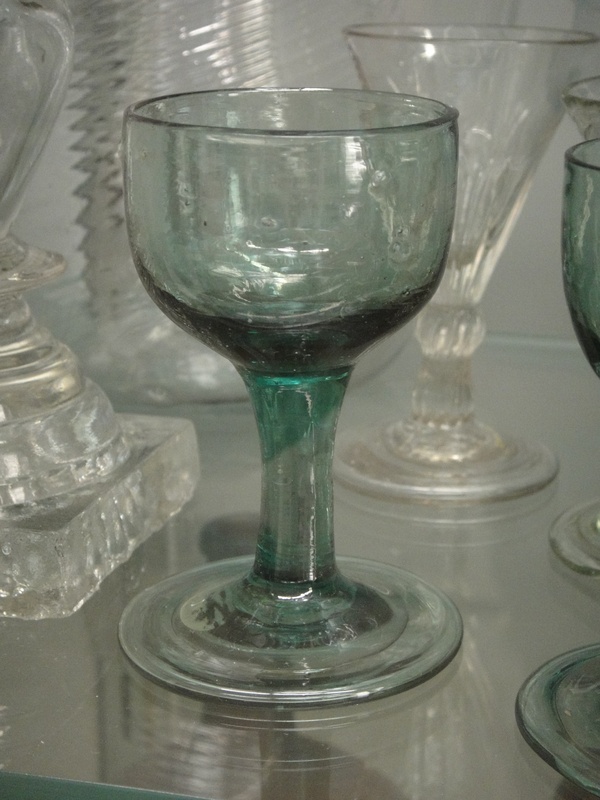 The Roman glassmaking industry in Europe slowly died out from the fourth century after which all but the simplest glassmaking techniques were used to make glass. 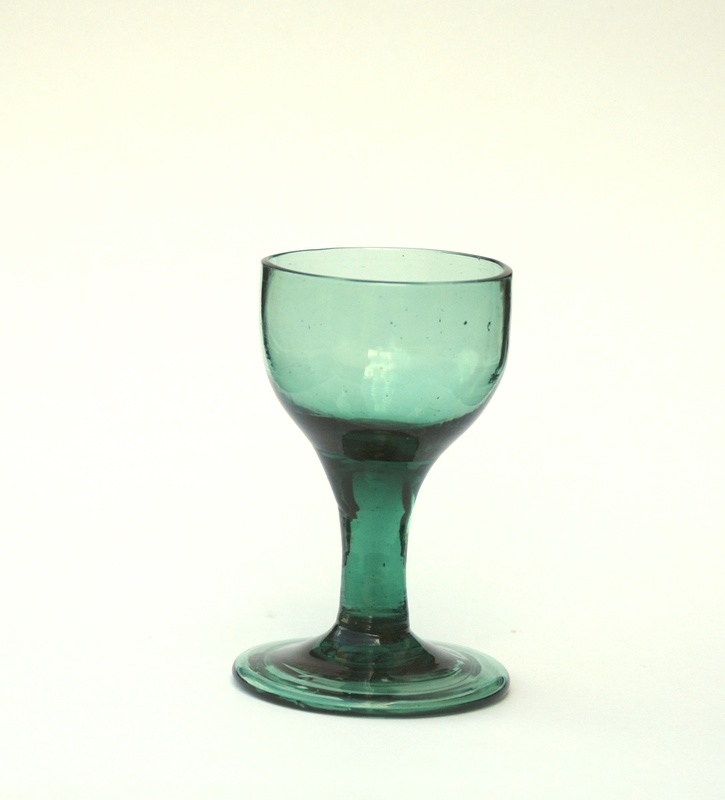 Glass of the Migration Period and later the Middle Ages is from 6th-14th C.